I accompanied Dr. Tania Neubauer, ND, Paul Bergner, director of the North American Institute of Mecical Herbalism and Herbalist Sevensong, director of the Northeast School of Botanical Medicine and student herbalists on this 3 week trip throughout Nicaragua in November 2012. The mission was to learn from Nicaraguan community health workers including herbalists, the plants, each other and the communities we visited. It was inspiring to see the effectiveness and extent to which natural medicine is built into the culture and structure of many Nicaraguan communities as well as the country's health care laws. 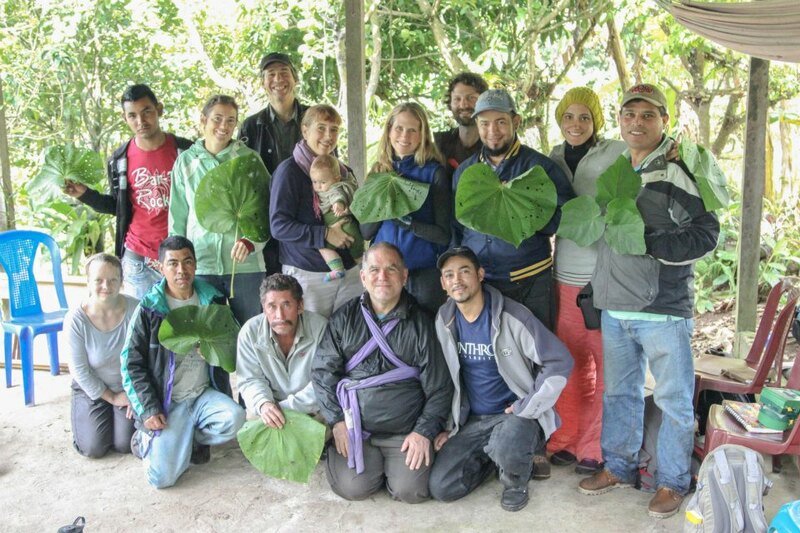 In November 2012, I accompanied a group of herbalists from the US and Canada on a traditional and herbal medicine trip to Northern Nicaragua. 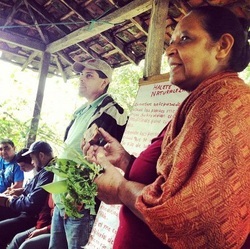 The mission was to learn from Nicaraguan community health workers including herbalists, the plants, each other and the communities we visited. It was inspiring to see the effectiveness and extent to which natural medicine is built into the culture and structure of many Nicaraguan communities as well as the country's health care laws. 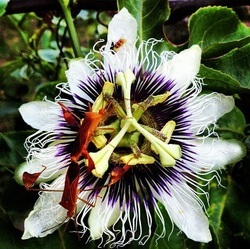 Passiflora incarnata, the beautiful passion flower being visited by a leaf-footed bug is pictured above. The fruit that comes from these flowers is delicious and goes by many names, Calala here in Nicaragua and Lilikoi in Hawaii. One of the best parts of this trip was the 6 month-old baby girl named Lilikoi that accompanied us with a warm and open heart to everyone who held her in their arms and every tree swaying in the wind that she passed under.